Tyler Goodrich White has been Director of Orchestras at the University of Nebraska-Lincoln since 1994, leading the orchestra program in a period of extraordinary growth and achievement. Under his direction, the UNL Symphony Orchestra has been recognized as one of America’s finest collegiate ensembles, selected to perform at national and regional conventions of the Music Educators National Conference. Before coming to Nebraska, White led orchestras at Cornell University and Trinity University (Texas); he appears regularly as guest conductor and clinician with student orchestras nationwide. In 2004, he was a guest lecturer in conducting at the Central Conservatory of Music in Beijing, China, and in September 2007 he was named Best Musical Director at the Waterford International Festival of Light Opera in Waterford, Ireland. Recent seasons have seen additional guest conducting engagements in Mexico and Brazil. A protégé of the late Maestro Robert Shaw, White was born in Atlanta, Georgia and was raised in Manhattan, Kansas. After graduating Phi Beta Kappa from the University of North Carolina-Chapel Hill, he earned his master’s and doctoral degrees in composition from Cornell University, studying with Pulitzer Prize-winners Steven Stucky and Karel Husa. He has also studied at the University of Copenhagen (Denmark) and the American Conservatory at Fontainebleau (France). National and international recognition for his compositions has come through awards from ASCAP, BMI, The American Conservatory at Fontainebleau (Prix Maurice Ravel), Vienna Modern Masters, the Omaha Symphony Guild, Tulane University, Indiana State University, and the Southeastern Composers League, and through commissions from the Atlanta Symphony Orchestra, the Cleveland Chamber Symphony, Lincoln’s Symphony Orchestra, and other ensembles. In addition, the National Symphony Orchestra (Washington, DC) awarded him one of its American Residencies Chamber Commissions. In 1997, White’s cello concerto Threnos (William Schuman in memoriam) became the first work by a Nebraskan to win the Omaha Symphony’s International New Music Competition, and in 1999 his opera O Pioneers, the first-ever operatic treatment of a Willa Cather novel, was premiered at UNL and televised on Nebraska Public Television. 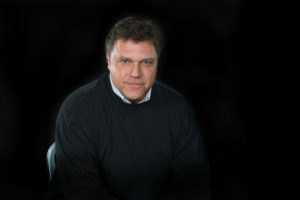 In 2001, Dr. White was named Composer of the Year by the Nebraska Music Teachers Association. In 2003, White’s Elegy “for the orphans of terror” was awarded the Masterworks Prize and was recorded by the Sofia Philharmonic on the inaugural volume of ERM Media’s “Masterworks of the New Era” CD series, and in 2006 his Mystic Trumpeter (Symphony No. 2) was awarded Honorable Mention in the ASCAP Foundation/Rudolf Nissim Prize competition. In 2014, the newly revised O Pioneers was awarded a Silver Medal in the Global Music Prize competition, and was named a finalist for the American Music Prize.